Chris brings a wide breadth of legal and policy expertise to The Freshwater Trust. Prior to his current role, Chris worked with Washington State University, Columbia Land Trust, Pacific Rivers, and several other environmental groups in the Northwest. He holds a bachelor’s degree in Natural Resource Science & Policy from Washington State University and a Juris Doctor and Certificate in Environmental and Natural Resources Law from Lewis & Clark Law School. 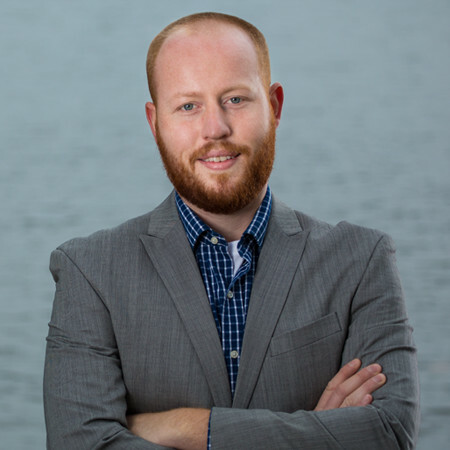 As a Staff Attorney, Chris assists The Freshwater Trust’s teams to develop, implement, and administer water quality trading and other ecosystem restoration programs. In addition contract development and policy analysis, he works closely with agency personnel to facilitate the restoration of riparian habitats, improvement of ecosystem funding, and the creation of innovative environmental programs. Chris also supports the organization’s efforts related to groundwater resources. Outside the office, he can be found playing with his dogs, enjoying Oregon’s natural beauty, or fixing something that may or may not be broken.